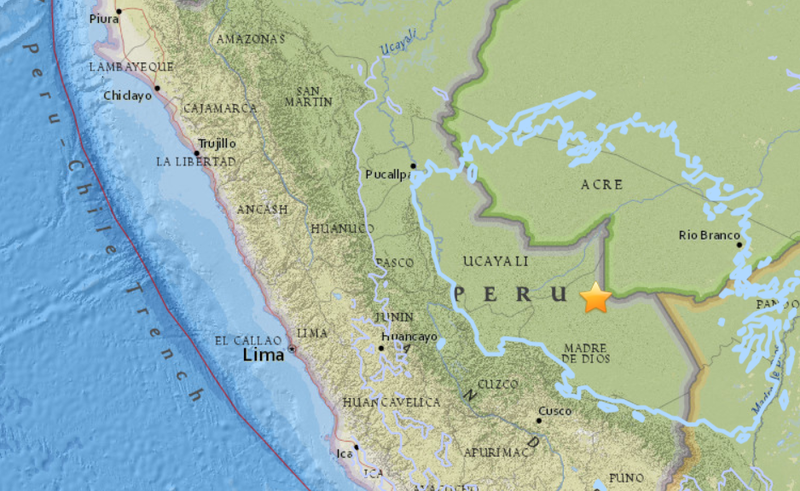 The next major quake has arrived, a massive magnitude 7.1 - 138km WNW of Iberia, Peru has been reported by USGS. Incredibly our planet is under an avalanche of major quakes in the last three weeks after a record low number up to August, when suddenly a plethora of major quakes hit our planet and most of them, not surprisingly hit the Pacific Rim, today's powerful quake being no exception. According to Reuters, there were no immediate reports of damage, though social media users said tremors had been felt across the country and as far away as Arica in northern Chile. Once again the quakes come as our Earth is inside a stream of solar wind flowing from a massive coronal hole. An incredible surge of major quakes has hit the planet in the last two weeks after an incredible low count this year up to the beginning of August when a flurry of major quakes have been registered around the world coming entirely out of the blue. The surge of major quakes does, however, coincide with two enormous coronal holes which have been spewing solar wind at the Earth's magnetosphere during the same period of the quake flurry. Just two weeks ago 2018 was on course to register the lowest count of major quakes this century. A flurry of major quakes has been registered in a two week period when a massive coronal disturbance on our Sun has ejected a stream of solar wind from two giant holes on our Sun's atmosphere. Today's major quake bring the total in August to 20, easily the most in one month this year with the annual total to 71 so far.